Many people are oblivious that there are differences between bass guitar and guitar. If you are one of those people trying to choose between guitar and bass guitar then you have a lot to think about.Whether you are picking an instrument for the first time or you are trying to figure out which is the better of the two as you learn, it is possible that you are having a hard time. 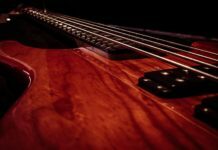 Whether you are picking one the instruments for the first time or you are trying to learn more about the differences between bass and guitar, you have come to the right place. 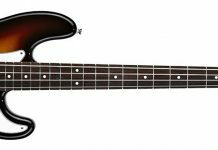 The most important thing you need to know is that there are functional, structural and technical differences between bass guitar and guitar. You need to understand what you are getting yourself into in the event you choose either of the two. If you are new to the music world, you may think that the two instruments are similar. However, with further scrutiny, the differences between basses and guitars start to emerge. The electric guitar has six strings with a standard tuning of EADGBE. 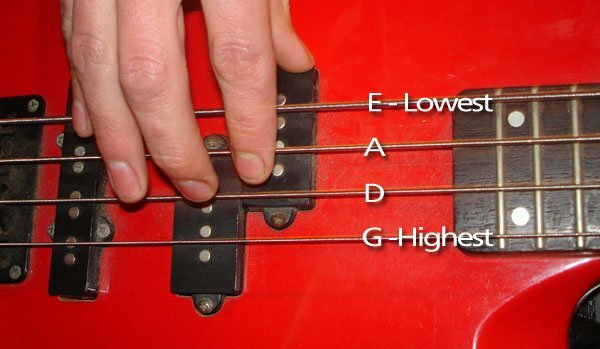 This means that E is the lowest note a string can be tuned to. The notes then follow in that order. On the other hand, the bass guitar has only four strings. The strings are EADG with the same tuning as the first four strings on the regular guitar, only an octave lower in pitch. The difference here is structural; in that the bass has fewer strings and lower tuning that you have in a regular guitar. Even though the instruments may seem similar to each other, they actually serve very different functions and sound completely different. Let us how each of these instruments contributes to music to understand their differences better. Bass guitar basically provides the foundation that holds all the other instruments in a band together. 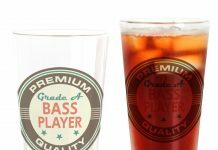 Depending on the genre, you might find that the bassists usually take the back seat, but that does not mean they are any less important. In some genres like blues and jazz, the bass may work well with the drum set to set the rhythm and groove. In hard rock and heavy metal, the bass provides the riff for the guitar. It follows that bass guitarists are very valuable. The guitar assumes many varied roles as opposed to the bass. While the bass works with the drums and is considered to be the rhythm of the band, the guitarist has much more freedom to go “off script” with embellishments and solos. In many genres, the guitarists are usually called upon to provide a certain amount of rhythm support but the rest of the band doesn’t have to follow the guitarist. Guitarists are considered much more musical than bassists and will more often than not attract a great deal of attention regardless of the genre. In many forms of what we know as modern music, it is the riffs and solos from regular guitars that is remembered, not the bass performance. The two instruments are very different when it comes to difficulty in playing. So which is the easiest to play of the two instruments? Don’t let the fact that the bass guitar has fewer strings dupe you into thinking that it is an easy instrument. It isn’t as easy. On the other hand, it all boils down to the genre of music that you are interested in playing and how hard you are willing to work. Both the bass guitar and the guitar can either be quite easy or extremely hard to master. If you are new to stringed instruments then you will find the guitar much easier to play because of many factors including the construct of the instrument. The bass is a larger instrument with thicker strings which may be quite challenging for new players. However, don’t let that deter you. In many genres like blues and reggae, playing the right basic notes is all you need to do. You may want to start there as you progress to the more complex ones like jazz and rock. Guitarists like Kurt Cobain showed that you don’t really need to be a very good guitar player to succeed in rock. You can easily become a master by learning a few chords.On the other hand, players like Jimi Hendrix will leave you practicing for the rest of your life without any hope of catching up. When it comes to the difficulty of playing, the verdict is this: If you want to join a band and start playing quickly then you might want to start with bass guitar. If you want to master the instrument then there is no easy choice. To become the best, you will have to practice a lot regardless of which instrument you end up playing. Are you a dominant person who wants to be the major force of creativity in the band? Are you the go-getter who is willing to put in the work to learn? If this is you, then the guitar better represents who you are. The guitar is for the creative dominant person who will do all it takes to achieve what he wants. Do you see yourself as unconventional even among the unconventional? Does being part of a team hold a lot of value for you? Do you enjoy working hard on something? Are you a lay low person who doesn’t like attention? If your answer to these questions is yes, then the bass guitar is your kind of instrument. The differences between bass guitar and the guitar are quite clear. While they are different instruments, you might want to be well versed in both of them so as to explore all the possibilities available to you. You can always change your mind on which direction you want to go because the tuning is quite similar and you can learn the other instrument quickly if you decide to switch.